Did you ever feel irritated by manually adjusting Fibonacci retracement levels? 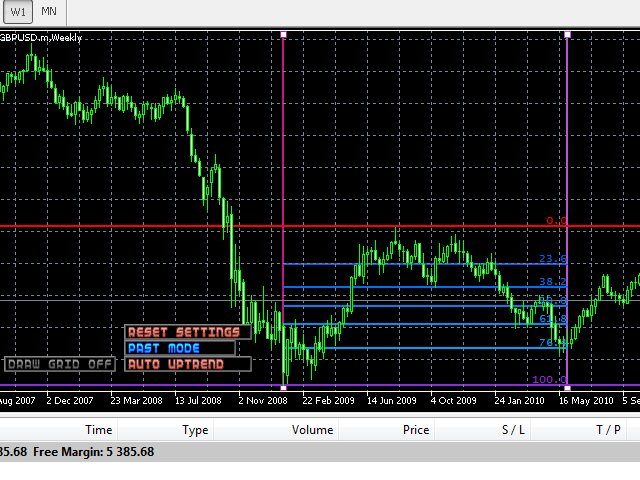 Do you ever want to have a tool that was automatically adjust to certain Fibonacci levels with your trading? Well here is a tool for you: Fast Fibonacci indicator and Grid trader allows you to quickly adjust Fibonacci retracement levels or construct Fibonacci extension grid! 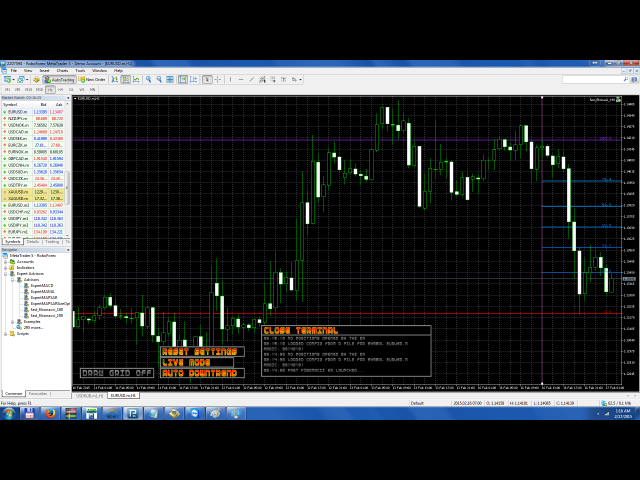 You can also quickly setup your grid trading based on these levels - only with few clicks. Adjustable graphics, font sizes and graphics panels make it easy to quickly modify grid with just few clicks and drags. This tool is "3 in 1" - it can be used as indicator only, has a graphics panel and also has Expert Advisor functions in the form of automated grid trading without supervision. The stop loss and take profit levels are invisible to your broker, therefore give him less possibilities of price manipulation. Please check Comment tab for detailed PDF instruction. Live mode or past mode: select period by easily dragging start and end date. Your Fibonacci levels will automatically adjust to the selected period. Take profit and stop loss levels are draggable and can be set in no-time! 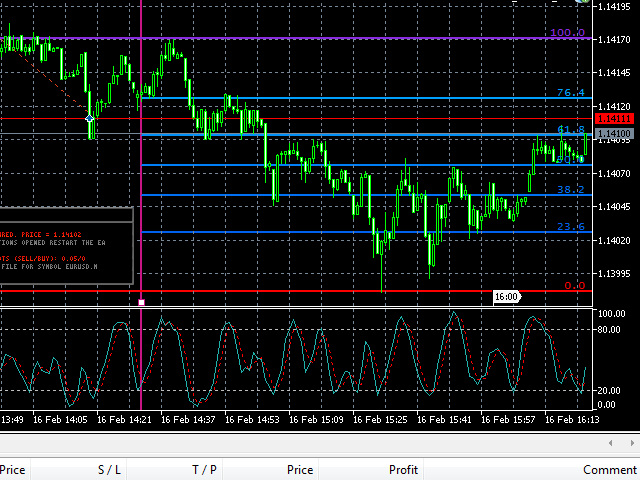 Take profit can be solid or sticky to the requested Fibonacci level. If Fibonacci grid is automatically changed, the TP can either automatically go with it or stay in one place. Easily adjusted grid range: by just one click! Fibonacci Retracements are ratios used to identify potential reversal levels. These ratios are found in the Fibonacci sequence. The most popular Fibonacci Retracements are 61.8% and 38.2%. After an advance, chartists apply Fibonacci ratios to define retracement levels and forecast the extent of a correction or pullback. Fibonacci Retracements can also be applied after a decline to forecast the length of a counter trend bounce. 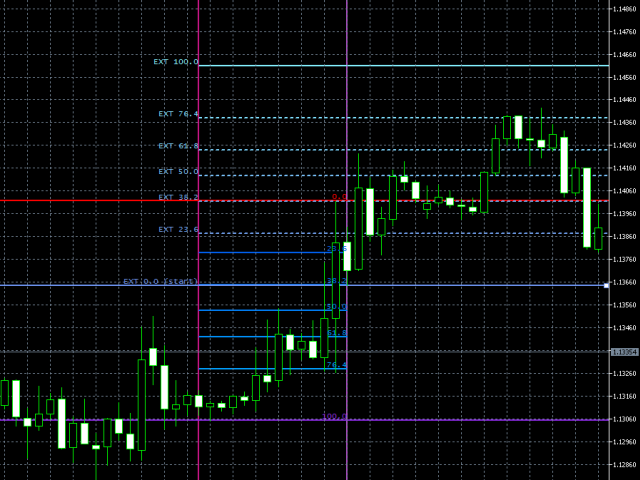 These retracements can be combined with other indicators and price patterns to create an overall strategy. In practice, most traders use Fibonacci extensions in combination with other technical indicators/patterns to help them determine appropriate target prices, future support and resistances.